Tomorrow marks two years since the crash. 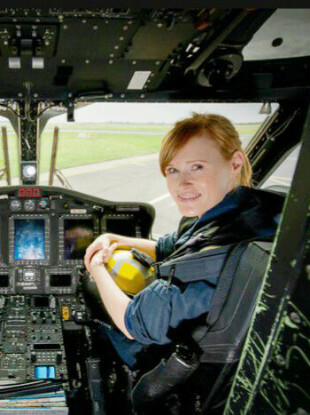 THE SISTER OF Rescue 116 Captain Dara Fitzpatrick has described how her family has been coping as the second anniversary of her death nears. Captain Dara Fitzpatrick, Captain Mark Duffy, winchman Ciarán Smith and winch operator Paul Ormsby all lost their lives after Irish Coast Guard helicopter Rescue 116 went down. Rescue 116 crashed after it struck Blackrock Island off the Mayo coast on its way to a refuelling stop at Blacksod. It was due to refuel before taking part in a rescue operation. The bodies of Smith and Ormsby were never recovered. Speaking on the Ray D’Arcy show on RTE Radio 1 today, Niamh Fitzpatrick described how Dara’s son Fionn, a baby at the time of his mother’s death, has become a little boy Dara would be “so proud of”. Niamh said the family has found the days leading up to the anniversary of the crash very difficult. She described how the initial aftermath Dara’s death was like a blur and now they’re feeling her loss without the shock – something Niamh said she finds more painful. She added: “It’s a tough couple of days. It gets different over time – maybe putting my psychologist hat on. That first year, we were probably anesthetised. This year, we are dealing with the grief without anything to numb the pain, so there’s a reality about it. The search for the crew lasted 42 days. Fitzpatrick said she owes the people of Blacksod an eternal debt of gratitude for their warmth and support throughout the weeks..
She explained: “I’m really grateful for the opportunity to thank them. “My way of putting this, is as a family member, it is in the absolute worst of times, that we were met with the best of humanity in that they could not do enough for us. “This all happened in the middle of the night, we had a community woken up to this and they just dropped their lives. Email “'She'd be so proud of her little boy': Dara Fitzpatrick's sister on life two years after Rescue 116 disaster”. Feedback on “'She'd be so proud of her little boy': Dara Fitzpatrick's sister on life two years after Rescue 116 disaster”.